Subscribe today for full access to in-depth investigative reporting. This story was reported by Globe Spotlight Team reporters Jenn Abelson, Jonathan Saltzman, Liz Kowalczyk and editor Scott Allen. 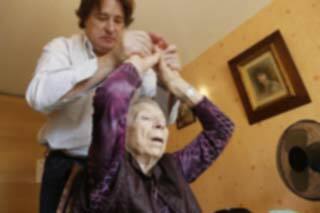 Tony Meng, of Westwood, now needs a home health aide for basic tasks. 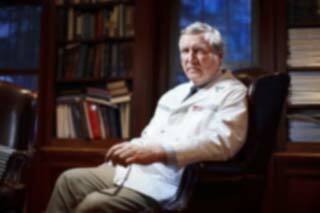 Dr. Dennis Burke, in his Milton house, led the fight against simultaneous surgeries at Mass. General, taking complaints from anesthesiologists to top hospital leaders. Surgeons at Mass General are allowed to run two operating rooms at the same time, as long as they are present for the critical parts of each surgery and are immediately available if a problem arises in either procedure, or have a backup immediately available. At 7:42 a.m., Dr. Kirkham Wood began a complex spine procedure on a 70-year-old woman in OR 64, according to medical records and legal documents. He was briefly assisted by a general surgeon. Eighteen minutes later, Dr. Wood started another case down the hall — a cervical corpectomy on Tony Meng. The two cases overlapped for about seven hours, but Wood wrote in his operative note in Meng’s surgery that he was “present for the entire case.” Meng woke up paralyzed. Hospital attorneys say Wood “acted appropriately” and within the acceptable standard of care. When the 70-year-old woman returned a week later for another operation by Dr. Wood, she was again one of two simultaneous spine cases that overlapped for more than eight hours, despite the concerns of a senior anesthesiologist, according to e-mails and finalized operating schedules obtained by the Globe. Indeed, the issues go far beyond Mass. General to many teaching hospitals where surgeons in training are integral contributors to the surgical team. These residents and fellows can relieve senior doctors of routine tasks, like stitching up patients and more, as their training progresses, allowing surgeons to move from one operating room to the next, where others have already prepared the patient. But where should hospitals draw the line between efficiency and individual attention, between modern case management and traditional ways? What can patients rightly expect of their doctors? And what must patients be told about their care, and when? Or more directly: Does a patient have a right to know that he could be sharing his surgeon’s focus and skills with the patient down the hall? Bitter internal debates about concurrent surgeries have erupted in recent years at medical institutions in Chicago, Milwaukee, Nashville, and Syracuse, and have led to litigation. At MGH, the acrimony has threatened careers and relationships and potentially much more, a drama that escalated with two steps almost unimaginable in the rigorously professional world of medicine, not to mention the life of a great hospital. 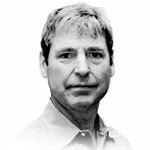 First, Dennis Burke — a leading hip and knee replacement specialist who hastily flew to Switzerland to aid Secretary of State John F. Kerry when he broke his femur in May — went to war with hospital administrators and some of his peers over his assertion that running concurrent surgeries is ethically unthinkable and dangerous. Burke is a zealot on the issue and makes no apology for it. He took his complaints outside the chain of command, and then outside the hospital, putting his career at risk. He says he is at peace with that. “If this results in my career at the MGH ending, so be it,’’ he told the Globe months before his firing. Burke’s superiors seethe at his tactics, at what they consider a vainglorious crusade that has wrongfully tarnished some of his equally eminent colleagues. Some even wonder at his motives, believing he is driven by outrage at the hospital for placing a Burke protege on academic probation and not hiring her. That resident worked on the 2008 hip surgery case that first raised concerns for Burke about double-booking. In August, MGH revoked Burke’s operating privileges, ending his 35-year career at the hospital that in 2009 gave him a coveted award as one of its best clinicians. Slavin Peter L. Slavin, M.D.MGH president , in a hand-delivered Aug. 12 letter, accused Burke of improperly providing hundreds of the surgeon’s own medical records to the Globe, violating hospital rules and, potentially, federal privacy law, even though the records Burke shared had names and other identifying details blacked out. Yet the hospital did impose new limits on double-booking surgery after Burke spoke out, reining in what MGH’s chief of surgery described in an e-mail — echoing a phrase of Burke’s, he says — as the “wild wild west” era of concurrent surgery. Those changes came only after MGH officials took a remarkable step. They hired the region’s former top federal prosecutor to examine Burke’s claims, interviewing 60 staffers across the hospital. Former US attorney Donald Stern’s 2012 report remains private, its conclusions known only at the institution’s highest levels. Slavin would not share it with the Globe or government regulators. But he did say that Stern’s findings affirm his confidence in the soundness of MGH practices. 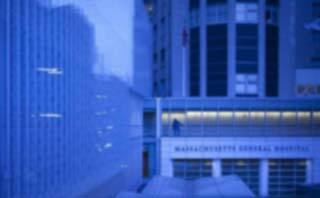 Burke and his allies remain unpersuaded, and believe MGH is in a state of denial — or something worse — particularly when it comes to the critical matter of patient consent. Hospital policy specifies that the patient be told generally of “the involvement of the attending surgeon” in the operation, but there is no written requirement to disclose whether the doctor will be responsible for a second overlapping operation. The Spotlight Team interviewed four patients who suffered complications and the relatives of two patients who died after double-booked cases between 2006 and 2015. There is no known connection between the complications and deaths and the double-booking, but none of the patients and family members interviewed had any idea that the surgeons were involved in a second operation at the same time. The Lunder Building at Massachusetts General Hospital, which opened in 2011, is where orthopedic surgeons operate. Dr. Kirkham Wood Kirkham Wood, M.D.Spine surgeon, chief of spine 2004-2013 , in a deposition last year, described the scheduling of Tony Meng’s surgery to run concurrently with another complex case as a way to make efficient use of his time and expertise; it is the most commonly cited goal of hospitals that have adopted the practice. Wood had honed his specialty — essentially just about anything that can go wrong with the spine — through hundreds of procedures, and, by overseeing two operating rooms at the same time, he could focus on the tasks that most required his skills. Though often called “simultaneous” surgeries, they do not, of course, involve the attending surgeon working directly on two patients at once. Rather, such cases are handled in successive stages, with the surgeon devoting himself to a section of one patient’s case, then moving on to the other. But the Meng case also highlights what critics of double-booking find alarming: Surgeries don’t always unfold as they are expected to. And the attending surgeon, once the work is underway, is committed to managing two cases. Tony Meng didn’t dwell much on the risks as he prepared for surgery on that August morning in 2012. He had skimmed a list of potential complications, including paralysis, in a consent form days earlier, but his focus was overwhelmingly on ending his chronic pain Tony Meng was diagnosed in July 2012 with a condition more prevalent among Asian men, known as ossification of the posterior longitudinal ligament or OPLL. . He was happy to put himself in the care of Wood, a doctor who was recruited by MGH as chief of its orthopedic spine service in 2004 and who would draw many plaudits from patients. For several hours after anesthesiologists put Meng to sleep around 8 a.m., Wood tended to him and to the woman down the hall. Wood made roughly six trips between the rooms over a span of three hours that morning, moving so seamlessly that one of the anesthesiologists later said in a sworn deposition he didn’t even know Wood had a second patient. The former spine chief testified he carefully positioned both patients, an important step. He removed a damaged disc from the woman’s lower back and plugged it with bone; it would be the last surgery he did on her that day, though he checked on her twice and gave instructions to her medical team. Then, moving to the other OR, Wood cut into Meng’s neck to expose the spine for the procedure, known as a cervical corpectomy. But as the surgical team began taking out parts of two vertebrae compressing Meng’s spinal cord, electrodes attached to his body indicated that nerve signals between his limbs and brain were fading — a warning of potential spinal cord damage. As minutes passed, Meng’s neurological responses fluctuated, briefly improving, but overall growing progressively weaker, and, by 1:30 p.m., all muscle responses were lost. The surgical team, led by Wood, worked intensely to figure out why. Some surgeons might have awakened Meng to make sure he could still move, but Wood later testified he decided the risk that Meng would thrash and hurt himself was too great. Wood said he believed the cause of the worrisome neurological responses could be compression on the spinal cord from the back side. So he pressed ahead quickly with that phase of the surgery, completing, he said, all the major work before handing Meng over to a surgical resident, Dr. Rojeh Melikian, to close the skin on Meng’s neck. Wood then went to the other operating room to make sure the surgical fellow had, according to Wood’s testimony, done the “appropriate operation” on the 70-year-old patient. The fellow, Dr. Philippe Phan, had worked for a year as a general orthopedic surgeon and had begun specialty training at MGH days before. He told the Globe that the second part of the operation, which lasted five hours and involved removing hardware from her spine, was not difficult. “Any senior resident who could hold a knife could have done it,” Phan said. The patient did suffer “acute blood loss” that necessitated transfusions, according to the anesthesia report on the case. While Wood was checking on the fellow’s work in OR 64, the crisis continued with Meng. He had lost all muscle responses in his arms and legs, and doctors still did not know why. Tony Meng came to MGH suffering from neck pain and tingling in his arms and fingers. An MRI revealed a condition causing compression of his spinal cord. Dr. Kirkham Wood performed an 11-hour operation on Meng in August 2012, a procedure that carried known risks, including possible paralysis, but also the potential for relief from pain and other symptoms. Wood first went in through the front of Meng’s neck and removed parts of vertebrae. Meng’s nerve signals began to fade at this point. Seeking to complete the procedure and possibly relieve the nerve symptoms, Wood then operated for several more hours on the back of Meng’s neck. Meng awoke from the surgery unable to move his arms or legs. Long afterward he learned that Wood had a second spinal surgery going at the same time as his. Meng felt betrayed. Wood said he handled all the critical parts of Meng’s surgery, and MGH says he “acted appropriately” within the accepted standard of care. When people in medicine trace the origin of overlapping surgery, one name invariably comes up: Dr. Michael DeBakey. A legendary heart surgeon who pioneered bypass surgery for blocked arteries, DeBakey operated on more than 60,000 patients over 60 years and earned the nickname of “The Texas Tornado’’ at Houston’s Baylor College of Medicine. He died in 2008 at the age of 99. Lean and indefatigable, DeBakey often had three or four operations going at once. After other surgeons cut open a patient’s chest, DeBakey would come in, put the patient on a special blood-circulating machine, and then bypass blocked coronary arteries with blood vessels taken from the patient’s body. As an assistant stitched up the patient, DeBakey would scrub into the next operating room, where another open chest awaited him. The orthopedic surgery department at Mass. General proved particularly receptive to the time-saving potential of concurrent surgeries. Orthopedics in some ways is well suited to the practice, proponents say, because many procedures unfold in fairly predictable fashion, allowing surgeons to plan their movements with reasonable precision. Double-booking also fit well with the business-like approach that Dr. Harry Rubash brought to Mass. General orthopedics when he took over as department head in 1998. Rubash helped introduce an incentive system that paid doctors more if they generated more profits. Some surgeons complained about pressure to perform more operations, but others were delighted at the chance to increase their pay through extra work. “We have the best compensation plan around,” said shoulder surgeon Dr. Jon J.P. Warner in a department-approved Harvard Business School case study last revised in 2005. It examined Mass. General orthopedics but did not study whether concurrent surgery played a role in the department’s success. Warner, chief of MGH’s shoulder service, earned just over $2.1 million between October 2005 and September 2006, making him the hospital’s highest compensated employee at the time, according to financial documents filed by the hospital with the attorney general. MGH declined to say how much orthopedic surgeons there earn on average. Orthopedic surgeons in Suffolk County typically make nearly $500,000 a year, according to Doximity, an online service for physicians. Several anesthesiologists and surgeons, as well as a doctor who served on the committee that assigned OR time, told the Globe that, under Rubash, the orthopedics department increasingly allowed surgeons to schedule two surgeries at once. Rubash, in an interview, said concurrent surgery did not become more common during his tenure. Burke Dennis William Burke, M.D.Orthopedic surgeon , however, believes the incentive system did motivate some surgeons to double-book. Double-booking his first two cases enabled Wood to conduct three major operations on the day of Meng’s surgery, logging a collective 21 hours as attending surgeon. MGH’s charges for Wood’s services that day totaled about $73,000, according to copies of the bills provided to the Globe by Meng’s attorneys at the Boston law firm Lubin & Meyer. Burke wasn’t alone in his doubts about double-booking. Richard M. Pino, M.D., Wilton Levine, M.D., Peter Dunn, M.D. 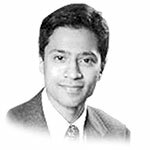 Neelakantan Sunder, M.D., Richard M. Pino, M.D., Wilton Levine, M.D. I spoke with Harry and the Kirk about this some time ago. According to Kirk and Harry, Kirk has the fellow manpower to do this. If there are issues or concerns, please let me and or Harry know. I did not have afollow up confirmation from either of them tthat they had either come to a final plan on this. I will f/u with harry to hear from him how this is goign to work from their perspective given the nature of the cases and the need to have attending oversight during much if not most of the procedure. Peter Dunn, M.D.,Richard M. Pino, M.D., Wilton Levine, M.D. Rubash Harry E. Rubash, M.D.Chief of orthopedic surgery said in a recent interview that he never pressured his staff to do concurrent procedures. Rubash succeeded in boosting the volume of orthopedic surgeries by more than 20 percent and revenue by more than 48 percent between 1999 and 2003, according to the Harvard Business School case study. Today, Mass. General orthopedics ranks fourth in reputation among all US hospitals, according to US News and World Report. The orthopedics department also has one of the highest rates of concurrent surgery at Mass. General: One quarter of all surgical procedures have some overlap, compared to 15 percent hospitalwide, MGH figures show. Concurrent surgery is also relatively common in trauma, cardiac, brain, and vascular operations. Orthopedic surgeons are also among the leaders when it comes to the less common but more controversial cases involving at least one patient with an open incision while the second case is underway. Nine percent of all orthopedic surgeries fall into this category — triple the overall hospital average, according to data provided by MGH. Sometimes patients find out just moments before the surgery, or even after the fact, that their doctor had a second concurrent procedure. Anesthesiologist Dr. Lisa Wollman e-mailed Dr. Burke about a November 2011 incident in which a nervous orthopedic patient awaiting surgery discovered that her surgeon planned to do a second procedure overlapping with hers. When the patient requested that Dr. R. Malcolm Smith stay with her for the whole surgery, Wollman wrote that she saw Smith became irritated, accusing the patient of “manipulating the system” and causing delays. “The patient was reduced to tears, started to have a full blown panic attack,” wrote Wollman Lisa T Wollman-Kliman, M.D.Anesthesiologist . Ultimately, Smith agreed to the patient’s request and the woman calmed down. When something goes wrong — as statistically it will in a small percentage of cases — the surgeon’s failure to disclose double-booking can seem to patients inexplicable and intolerable. Consider Nicholas Gregory. A 43-year-old former Anheuser-Busch sales manager from Peabody, Gregory has suffered from incontinence and sexual dysfunction since Dr. Wood performed spine surgery on him in October 2006. It would be almost nine years before he learned, in January, that during the nine-hour case Wood had left him for a time in the hands of a fellow while he operated on a second patient with what Wood later testified was an infected spine. Gregory was startled at the news, as was the judge in his malpractice suit against Wood. Suffolk Superior Court Judge Bonnie MacLeod likened the newly discovered evidence to “putting a cannon in the jury box and having it explode’’ and put off jury selection until the two sides could fully explore how Wood’s work in the second case might have affected Gregory’s care. The trial is tentatively scheduled to start next September. “No one is assuming that somebody who’s present for the entire case is necessarily in the four walls of the operating room the entire time,’’ Wood later explained in the deposition. Meng relied on the surgeon’s unambiguous-seeming promise before the operation. George J. Annas, a prominent patients’ rights advocate at Boston University, said it’s a “no-brainer” that a surgeon should inform a patient that the doctor intends to operate on that person and another patient in the same time frame. Mass. General has revised its patient consent form over the years, doubling its length to roughly 500 words in the version printed last October. The form now emphasizes that medical care will be provided by a team and says “my doctor or an attending designee” will be present for the critical parts of the procedure. Highlighted text is added for emphasis. In addition to providing the consent form, MGH says its surgeons are expected to verbally discuss with the patient the plan for the surgery and potential risks, though there is no requirement that patients be told their surgeon is overseeing two cases at once. Although numerous teaching hospitals permit concurrent surgeries, there is no consensus among top doctors about which procedures can safely overlap, and how much overlap is appropriate. It is, however, hard to verify the comparison as some of those peer institutions, such as The Johns Hopkins Hospital, Stanford University Medical Center, and Mayo Clinic, declined to provide the Globe with copies of their policies or to discuss them in detail. Locally, most teaching hospitals allow minor overlap of cases, but only a few permit doctors to run two surgical cases simultaneously over an extended period. Boston Medical Center spine surgeon Dr. Tony Tannoury occasionally runs two operating rooms, overlapping his cases by several hours in what the hospital describes as a tightly monitored program that enables him to do his operations more safely and during daytime hours. The hospital only allows certain types of procedures to run concurrently — and not the kind that Tony Meng had. MGH’s sister hospital, Brigham and Women’s, says it does not permit cases to run simultaneously for more than an hour, except in emergencies. The Brigham’s chief of surgery, Dr. Michael Zinner, recently said he scolded a new surgeon at his hospital who violated the rule. In addition, the Brigham says it requires that the backup doctor be identified to the patient and listed on consent forms. MGH has no such mandate listed in its policy, but hospital officials say they have taken some steps that the Brigham has not, like specifically barring some procedures from being double-booked at all. Zinner explained the philosophy that drives the limits on concurrent surgery at his hospital. Other authorities see real utility in the practice. Dr. Allan Kirk, the head of surgery at Duke University School of Medicine, coauthored an article this year on concurrent surgery in the Annals of Surgery, a journal edited by MGH’s chief of surgery, Dr. Keith Lillemoe. Kirk said that double-booked operations can increase efficiency if done correctly, with brief overlaps at the start and end of cases. “That’s the most appropriate utilization of this concurrent surgery — not having two cases going exactly at the same time and the surgeon bouncing back and forth between the two,’’ said Kirk. The most extensive analysis of concurrent surgery was presented last year when a surgical resident at the University of Virginia Health System released a study — not yet published — that found no difference in short-term outcomes for patients and only minimal increases in surgery length when cardiothoracic surgeries overlapped by up to 45 minutes under closely monitored conditions. MGH says it has been reviewing the safety of concurrent surgery for some time. This year, in response to Spotlight Team questions, the hospital conducted an analysis of hundreds of surgical cases and also reviewed 25 cases of concurrent surgeries where patients suffered complications. MGH concluded that none of the injuries was the result of double-booking, but the hospital declined to provide details to the Globe. Dennis Burke Dennis William Burke, M.D.Orthopedic surgeon is a big burly presence with flashing eyes under bushy eyebrows, a man of obvious personal force, intellectual aspiration, and famously deft hands. He uses them to make things and fix people. An inveterate tinkerer, he crafts some of his own surgical tools in the barn beside his Milton home. And he is an exceptionally busy practitioner, having performed more than 10,000 knee and hip operations since completing his orthopedics residency in 1984. His ties to MGH go back to childhood. The fourth of five children raised by a South Boston pharmacist and a homemaker, Burke began working part time for MGH while still at the Boston Latin School, giving hearing tests at what was called the Bunker Hill Health Center in Charlestown. He studied mechanical engineering at MIT, graduating in 1975, but realized that he would rather treat patients than work with things. While he was a medical student at Loyola University outside Chicago, orthopedic surgery appealed to him because it combined medicine and mechanics. His chosen path would lead him back to MGH for his residency and the heart of his 35-year career. Burke is a fierce traditionalist when it comes to medicine: He says proudly that he never leaves the operating room until the last stitch is in. “One Patient at a Time’’ was the way Mass. General described the hospital’s philosophy in a 2011 newsletter, and Burke says he takes that creed literally. He can rattle off relatives who have been treated at MGH and says he wouldn’t dream of going anywhere else. Not the man, in other words, one would expect to become the hospital’s bitter antagonist. But then, one Saturday night in June 2008, the phone rang in his home. It was Dr. Nina Shervin, a fifth-year resident for whom Burke was a trusted mentor, calling in tears about an elderly woman in great pain; her newly replaced hip had dislocated twice. It had been a concurrent procedure performed weeks earlier by another MGH surgeon. That doctor worked in the orthopedic trauma service where, MGH says, overlapping surgeries can be more common, and sometimes necessary, as doctors respond to clusters of urgent and emergent cases. Shervin had herself tried and failed to put the hip back into place. She told Burke her understanding was that the patient might have to wait days for surgical relief. The family wanted a second opinion. As Burke recalls it, Shervin sobbed into the phone, asking what she should do. Burke says he told her it might be unethical to take over another doctor’s case but, in his mind, the needs of a patient in distress trumped that concern. He instructed Shervin to tell the family to find him the next morning and request a consult. Later that Sunday, after meeting with the family, he performed the surgery. No one knew it at the time, but it was, for Burke and MGH, the triggering moment in a seven-year conflict. Seventeen days before Nina Shervin’s call to Dennis Burke, the woman had fallen by the entrance to her son’s apartment on tree-lined Commonwealth Avenue in the Back Bay. Seventy-year-old Monique Pereira had Parkinson’s disease, but she lived independently in the south of France and had recently flown to visit her son, Stephane, and his partner who ran a French bistro nearby on Newbury Street. Pereira struck the ground and felt a sharp pain on her left side. The family called for an ambulance and headed to the emergency room at Mass. General, where X-rays revealed she had fractured her left hip. At 1:49 p.m. the next day, Pereira was wheeled into operating room 21. After a resident positioned her for the surgery, the attending surgeon, Dr. Timothy Bhattacharyya, made an incision to expose the hip, according to medical and court records reviewed by the Globe. Bhattacharyya was part of Mass. General’s busy orthopedic trauma service, and on this day, he was very busy indeed. Partway through the procedure, Bhattacharyya left Shervin and another resident in room 21 and scrubbed into operating room 25 as the attending for an ankle fracture case that had started two minutes after Pereira’s case, according to medical records. Shervin Nina ShervinOrthopedic surgery resident later testified that while he was gone, she helped mix the cement for the hip implant, but felt uncomfortable going further on her own. “Can you page Dr. Bhattacharyya?” Shervin asked the surgical team. The surgeon was paged three times but failed to respond, Dr. Susan Vassallo, an anesthesiologist for the case, later testified. That’s when, Vassallo said, she did something for the first time in 25 years of medicine: She went looking for the surgeon. She first checked room 22, where she had earlier assisted Bhattacharyya Timothy Bhattacharyya, M.D.Trauma surgeon on a third case that also overlapped briefly with Pereira’s. She said she finally found the doctor in room 25 doing the ankle procedure and asked him to come assist Shervin. “I’m busy,” Bhattacharyya told Vassallo, according to her court testimony. By the time Bhattacharyya scrubbed back into Pereira’s operation, Shervin was concerned the cement was too hard. She asked Bhattacharyya if he wanted to remix it, according to court documents. “No, this should be fine,” Bhattacharyya said, according to Shervin’s account. Vassallo and Shervin did not respond to repeated requests for comment. MGH trauma surgeon from 2004-2009. Now director of Orthopedic Trauma Services at Suburban Hospital in Bethesda, Md. Leader of orthopedics research program at the National Institutes of Health. Mass. General officials said that Bhattacharyya “provided superb care to this patient,” and that his other cases had no impact on his treatment of the French patient. By the time Bhattacharyya returned to implant the hip, they say, he had completed work on the “critical parts” of the ankle case, and the earlier operation in room 22 was also over. The three surgeries overlapped for a total of 13 minutes, records show. Pereira did not respond to requests to allow the hospital to comment on her case. During a recent interview at her home in Montpellier, France, she said she was angry to find out that Bhattacharyya was tending to other patients at the same time as her. Days after Burke performed the follow-up operation on Pereira, he said, he approached Rubash Harry E. Rubash, M.D.Chief of orthopedic surgery in the surgeon’s lounge on the fourth floor of the Gray Building to discuss what had happened. Both men, wearing scrubs, sat at a formica-covered table in the middle of the room, according to Burke’s recollection of the encounter. It didn’t take long for the conversation to become tense. Burke said Bhattacharyya had lost the right to take care of the patient by being inattentive during the initial operation. Shervin Nina ShervinOrthopedic surgery resident was the one at fault, Rubash shot back, according to Burke. Rubash blamed the resident for what happened and for calling Burke, who had had nothing to do with Pereira’s treatment. By getting involved in Pereira’s case, Burke had embarrassed the trauma service, Rubash said. Then the chief stood up and left, Burke recalled. Rubash, according to a hospital spokeswoman, says the meeting with Burke never took place. The French woman’s case contributed to Shervin’s difficulties at MGH, where she was placed on probation in 2007 for alleged shortcomings. She later sued the hospital for alleged gender discrimination, an accusation ultimately rejected by a federal court jury after almost five weeks of testimony from MGH doctors and leaders, including Rubash. Burke sided with Shervin, testifying against the hospital. He and his wife even loaned Shervin $375,000 to help her pay off debts and launch her own practice. At MGH, that raised eyebrows and hackles. Rubash, in a July 2011 deposition, described Burke as engaging in extreme advocacy, taking his cause to “many people in positions of authority’’ and not considering the views of others. He recalled Burke coming into his office in late 2009 and launching a fusillade of threats. “He threatened me verbally, and he threatened he was going to have me fired, and what was I doing to his girl,’’ Rubash said. The reason he was upset, Burke said, was that he simply couldn’t swallow the idea that the young doctor was faulted, while the attending physician, managing two and, briefly, three cases at once, went unscathed. From that moment, battling concurrent surgery became Burke’s cause and the gap between him and the hospital he loved — now poisoned ground — would only grow. Get Warner!” the surgeon-in-training yelled out in operating room 23 in the Gray Building at Mass. General. Dr. Mark Price, a fellow in the orthopedics department, had accidentally sliced a blood vessel during a complex shoulder operation in late 2008, and the patient was quickly losing blood, according to Dr. Neelakantan Sunder, an anesthesiologist, and Jane Hardiman, a certified nurse anesthetist, who were working on the case and present in the room. But Dr. Jon J.P. Warner, the attending surgeon overseeing Price, was not in the room, they said. Warner had a second procedure running simultaneously and was scrubbed into room 20. Such “indirect supervision,” where the attending is not present, is allowed under certain circumstances at teaching hospitals. Sunder and Hardiman said they scrambled to put in arterial and intravenous lines and transfused the patient with several pints of blood. After Warner rushed through the door several minutes later, a vascular surgeon was called to repair the tear and ultimately the operation was aborted. Warner noted he always performs the key components of surgery and that fellows occasionally do “non-critical activities” such as positioning and making the initial incision. Hospital officials described Warner in a statement as “one of the foremost shoulder surgeons in the United States” and said he “did not violate hospital policy regarding this case.” The hospital noted that Warner works with a team to perform lengthy shoulder operations. Much of the internal debate over double-booking at Mass. General stemmed from alleged incidents directly witnessed by the anesthesiologists, whose critical role in surgery is often not fully understood by patients. They are the eyes and ears for patients in their most vulnerable state, carefully watching vital signs for any disturbance. So when things went awry in some operating rooms with double-booked doctors, it was often anesthesiologists writing e-mails to hospital administrators and sharing information with Burke, whom they knew was willing to take their concerns to the top. One recurring complaint was that patients lingered under anesthesia for long periods, as the operating room staff waited for the attending surgeon to arrive from work on another concurrent case. Jeanine Wiener-Kronish, M.D., Jean Kwo, M.D. James P. Rathmell, M.D., Susan A. Vassallo, M.D. I have cc’d Sue on this since she was the anesthesiologist. From my understanding, the delay was not 2.5 hours. Jon has a tendency of counting “operating time” versus actual case time. He routinely does not account for sometimes two hours of a patient anesthetized waiting for him when he is operating in two rooms and the frequent need for PM incentives to cover his rooms because of surgical delays covering two ORs. But, this is a separate issue. When I have access to the dynamic schedule upon arrival to MVH, I will check the times for accuracy. Even today, anesthesiologists complain about patients “lying fallow” under anesthesia while they wait for a surgeon busy elsewhere. Earlier this year, an anesthesia resident filed a safety report after a patient in March lay anesthetized on the operating table for more than an hour while the surgical team waited for the vascular surgeon to arrive from a concurrent operation. In another case several years ago, an anesthesiologist says he was stunned that the surgeon never showed up for the procedure at all. Dr. Mark Vrahas, chief of Partners orthopedic trauma service, met with a patient in a holding room just before a surgery one morning about five years ago. As an anesthesiologist, Dr. Akshay Dalal, watched, Vrahas explained the procedure that would be done on the patient’s lower leg, and gave him the consent form, which both the patient and Vrahas signed. The patient was then wheeled into the operating room and given anesthesia, while the surgical team, including Dalal, waited for Vrahas. But Vrahas had at least one other operation going on at the same time, and a resident performed the procedure instead, Dalal said in an interview. Chief of Partners Orthopedic Trauma Service, he was recruited in 1999 to develop a trauma program across the state’s largest health care network. He was recently promoted to full professor at Harvard Medical School. This is an example of one of his concurrent surgeries, according to finalized operating room schedules. As the internal controversy stirred by Burke and others escalated, Dr. Peter Dunn, medical director of the hospital’s OR, began looking for ways to improve the department’s performance, including a review of the hospital’s guidelines for concurrent surgeries. The existing rules, outlined in a 2002 hospital memo, did little more than require surgeons to be present “for the key portions of the case,” leaving it to the surgeons to decide what that meant. The rules also required that, in order to bill Medicare, a surgeon managing simultaneous surgeries must be immediately available if a problem arises in either case or, if he cannot, to designate a backup attending to assist. MGH’s rules satisfied those federal regulations Medicare rules are designed in part to keep the government, which pays teaching hospitals to train residents and fellows, from overpaying for patient care. , but offered little direction on which procedures are appropriate for double-booking, what are the key or critical parts, and how much overlap of cases is safe and ethical. Dunn quickly learned how little scientific research there was about concurrent surgery to guide him. He had a daunting task ahead of him — and perhaps an even more formidable opponent. Burke could not get concerns about double-booking off his mind. So when he crossed paths with a trustee for the Massachusetts General Physicians Organization in early November 2010, the surgeon couldn’t help himself. He knew it was probably a breach of protocol, but he divulged his worries to Ronald Skates, a friend and former computer company executive. The morning after their conversation, Skates reached out to Dr. David Torchiana, head of the physicians organization and now chief executive of Partners, who promised to look into the matter, according to e-mails obtained by the Globe. Burke then began trading e-mails with Torchiana, the tough, confident leader known simply as “Torch.” Burke bemoaned the “reckless behavior by some of my colleagues” and worried that his warnings were being downplayed. Dr. David Torchiana, who headed the physicians group at MGH, now serves as chief executive of the hospital’s parent company, Partners HealthCare. Then in April 2011, Skates helped arrange a meeting with Burke and Torchiana and the three of them gathered in Torchiana’s office on the second floor of the Bulfinch Building at 6:30 a.m.
Torchiana was not about to simply bow to Burke’s demands. He began the meeting by reminding the men of the obvious, that Mass. General is a teaching hospital where residents have graduated responsibility for the burdens of surgery and that concurrent surgery is an acceptable practice at other institutions, according to notes Burke took of the meeting. After about 20 minutes, Skates Ronald SkatesTrustee of Mass. General Physicians Organization interrupted Torchiana and asked if Burke could share his views. Burke had prepared 17 bullet points, including one addressing his own motives in raising the issue of double-booking. Burke only made it through point 12 before the meeting ended. After Skates left, Torchiana pulled Burke aside and said it was wrong to involve a trustee in this matter. “Ron is so worked up that he doesn’t know whether to go to the Boston Globe or the FBI about this stuff,” Torchiana told Burke, according to Burke’s notes, which he gave to the Globe. Torchiana, through a spokesman, said he also “kept detailed notes about that meeting,” but declined to share them with the Spotlight Team saying it was a private meeting. “Dr. Burke’s account is not an accurate reflection of what actually took place that morning,’’ the spokesman said. Soon after the meeting, Burke found out that MGH had engaged Donald Stern, a former US attorney in Massachusetts and one of the best-known lawyers in Boston, to investigate Burke’s concerns. Stern Don SternFormer US Attorney hired by Partners to investigate double-booking , trim with silver hair, was working at the time as a partner for the law firm Cooley LLP and specialized in carrying out internal investigations for companies. Burke met twice with Stern in July 2011. He said he got emotional, especially when he recalled for Stern a time when his wife was a patient at Mass. General. He had taken comfort, he said, knowing that her surgeon wasn’t occupied with anyone’s care but hers. Stern, with a Partners’ attorney usually by his side, conducted dozens of confidential interviews over several months to look into allegations of patient harm, billing problems, and what double-booking critics considered a culture of intimidation at the hospital. MGH officials say that hiring Stern — who likely commanded $600 to $900 an hour at the time, according to lawyers who practice similar work — shows they took Burke seriously, and the report gave them confidence they were on the right track. Hospital officials have declined to share the document, even with state regulators, citing attorney-client privilege and promises of confidentiality to staffers interviewed. So tightly guarded was the report that, at one point, Mass. General’s chief surgeon, Dr. Keith Lillemoe, had to admit to Burke that even he had not seen it. Contacted by the Globe, Stern declined comment. Dr. Lillemoe, a genial native of a small town in South Dakota, came to Mass. General in May 2011 after a distinguished career as a pancreatic cancer surgeon and surgeon-in-chief at Indiana University Hospital. He arrived stressing the need to reduce surgical complications generally and walked into the debate over the safety of double-booking. He joined Dunn Peter Dunn, M.D.Medical director of the OR in developing the hospital’s revised policy on the practice, hoping the new guidelines would become, as Lillemoe later described them, “among the most comprehensive and well-defined in the country.” He also began communicating with Burke in often-sympathetic sounding language that made Burke hopeful that he had found an ally. But, even as hospital officials developed the revised policy, new disputes erupted, including Burke’s discovery that Wood was the attending surgeon for a second concurrent operation while he was doing back surgery on Red Sox pitcher Bobby Jenks in December 2011. Jenks had publicly accused his surgical team of botching the surgery, failing to smooth a sharp place on his spine that “sliced me open” after the surgery and, he believes, ended his career. Hospital officials, in an interview, say Wood never left Jenks’s room during the surgery. In court papers, a medical expert hired by Jenks disputed the hospital account, noting that Wood was listed as the surgeon in charge of a second case that completely overlapped Jenks’s. Veteran spine surgeon specializing in complete range of adult spinal disorders. Former chief of MGH Spine Service from 2004-2013, current director of Spine Surgery Fellowship Program. Wood announced plans to leave for Stanford University this fall. Dr. Wood was listed as the attending surgeon for a second procedure at the same time he operated on former Red Sox pitcher Bobby Jenks. In the spring of 2012, two anesthesiologists and Burke met with Lillemoe to discuss their ongoing concerns about patients waiting under anesthesia for their surgeon and not knowing that their cases are double-booked. The three doctors say Lillemoe was blunt about some of the hospital’s double-booking practices. “They make my skin crawl,” Lillemoe said, according to anesthesiologist Lisa Wollman, an account supported by Burke and Sunder. Wollman, Burke, and Sunder, in separate interviews, all also said Lillemoe cautioned that it would be “draconian” to ban surgeons from double-booking altogether. Lillemoe, in written statements to the Globe, challenged their account of the conversation and denied he used the phrase “make my skin crawl.” However, he acknowledged that he may have said it would be “draconian” to ban the practice. Sunder Neelakantan Sunder, M.D.Anesthesiologist would later retire, in part because he was fed up with the battle over double-booking. In June 2012, Lillemoe unveiled the much anticipated guidelines The final policy formally adopted in October 2012 had some changes from a draft shared in spring 2012. Read the draft version. Read the final policy. at a meeting of the orthopedic surgeons. He told the doctors that the revised policy would ensure the highest quality of care and patient safety. Surgeons would face more requirements — and more limits. Doctors could not be the attending surgeon for three rooms simultaneously, something already prohibited by Medicare rules. Surgeons would not be permitted to have two concurrent cases and see a third patient in clinic. Hospital leaders would define the critical parts for many surgeries, and identify operations and types of patients whose surgeries should not overlap. Burke spoke up at the end of Lillemoe’s Keith D. Lillemoe, M.D.Chief of surgery talk and pointed out what he viewed as the policy’s shortcomings: Surgeons were still not explicitly required to tell patients when they had simultaneous cases. And physicians could be anywhere on the hospital’s expansive campus — more than a quarter mile wide — and be considered “immediately available” to their patients. “I doubt that there is a person in this room who would want a family member or themselves to be treated by a surgeon running between two rooms,” Burke said he told the group. After completing his work on Meng around 7:30 p.m., Dr. Wood went off to his third surgery of the day, a three-hour procedure, leaving the resident, Melikian Rojeh MelikianOrthopedic surgery resident , to check on Tony Meng’s neurological function. MRI results came in after midnight and confirmed that something was very wrong. After getting a call at his Beacon Hill home, Wood Kirkham Wood, M.D.Spine surgeon, chief of spine 2004-2013 said in his deposition that he returned to the hospital to review the images and a few hours later operated again on Meng with two neurosurgeons assisting. They discovered his spinal cord had somehow bent at an acute angle and was protruding through a hole in the dura, the tough membrane that encases the spinal cord — where Wood had first operated the morning before. This summer, Wood said he would leave Boston to become a professor of orthopedic surgery at Stanford University in his native California, starting in November. Rubash announced the departure with “mixed emotions,” saying Wood built an outstanding spine service. 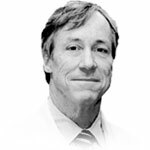 The Meng case reverberated deeply for Burke Dennis William Burke, M.D.Orthopedic surgeon . When word of Meng’s paralysis reached him in August 2012, he couldn’t sleep, Burke says. He felt he had failed in his long-running effort to sway his colleagues. 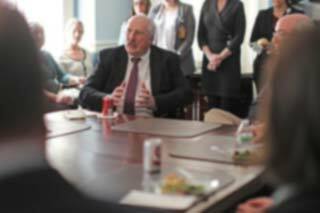 He had become the sounding board and champion for those at MGH who shared his concerns about concurrent surgeries. But what had come of it? 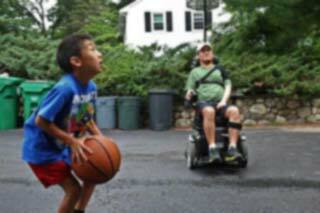 Tony Meng decided to have elective spine surgery so he could stop taking pain medication and comfortably play sports with his children, including his son, Sam. Burke sent a blistering e-mail to top hospital leaders, reviewing his long-running efforts to rein in the practice. He said he had reached a breaking point, that he felt he had no choice now but to contact state regulators — the Board of Registration in Medicine and the Department of Public Health. John Thomas Potts Jr., M.D. I am disappointed that you felt the need to take this to an outside authority as I am confident that changes internally are in place that could deal with the problems. In terms of the grape vine, it is not correct. However due to violation of the policy that you feel is not going to make any difference, the spine surgeon involved in the case, has lost this privilege. In other words, not following the policy has lead to an appropriate punishment. To me that is what we were hoping to accomplish. I wish you would have given us a chance as once people see we mean business, things will change for the better. Double booking is fine, if done properly, and our policy will change the practice at the MGH. It was too late for a rapprochement. Soon state regulators were investigating concurrent surgeries done by several orthopedic surgeons, eventually focusing on 31 double-booked surgeries, according to a letter sent in November 2014 by the medical board to the Department of Public Health. The department, after a one-day inspection this past February during which investigators examined records and interviewed four ranking staff members, but not Burke, issued a report saying it had found nothing wrong. If Burke had any doubts about the price he would pay for openly challenging Mass. General leadership, they were dispelled on a bitterly cold morning in February this year in a hospital hallway. That’s when he bumped into Dr. W. Gerald Austen, the 85-year-old retired chief of surgery and a founder of Partners HealthCare, the parent company of MGH. Burke and Austen had known each other since the early 1970s. As a student at the University of Massachusetts Amherst, Burke said he had met with Austen one Saturday to discuss possibly transferring to the Massachusetts Institute of Technology, Austen’s alma mater. Burke wanted to study mechanical engineering, as Austen had. Austen W. Gerald Austen, M.D.Chairman of the chiefs’ council, a founder of Partners HealthCare , a heart specialist, wrote a letter of recommendation to MIT. He also gave Burke a tour of MGH’s cardiac care unit. Neither knew it at the time, but a seed had been planted. Now, decades later, Austen had learned that Burke was speaking out against the institution they both held dear. The older doctor grabbed Burke’s arm, as Burke recounts it, and spoke a few chilling words: You will never be forgiven. Burke would soon find out exactly what Austen, who declined to comment, had warned of. His stature and roster of well-known patients would prove no protection against what was coming. Mass. General officials acknowledged Burke’s surgical skill, but in March they suggested he was a hypocrite for condemning doctors who run two rooms when he does it himself. The hospital said that, in 2014, 10 percent of Burke’s surgeries had procedural overlap. “It is worth noting that Dr. Burke practices concurrent surgery himself, performing more of these overlapping procedures last year than any other hip and knee surgeon at MGH,” according to a written hospital statement on March 27. Burke reacted with outrage at having his integrity questioned. He gathered 15 months of his own records, including 440 surgeries he worked on in 2014, the period the hospital analyzed. The end of his cases occasionally overlapped with the start of other cases, but it averaged just a few minutes. And Burke said he never started a surgical procedure on one of his patients - that is, made an incision - until he was finished with the other patient’s procedure. And that, for MGH, was Burke’s undoing. 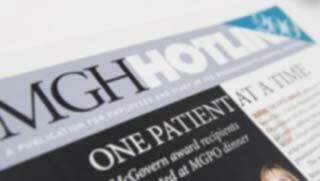 When the Globe informed MGH officials that Burke had rebutted their charge by providing the records, the hospital began an investigation into whether Burke had violated federal law requiring that patient information be kept confidential. The Globe declined the hospital’s request to return the documents for a review of Burke’s redactions. “Providing journalistic work product, particularly during an ongoing project . . . would threaten the independence of the Globe’s editorial process,” the newspaper’s attorney Jonathan Albano wrote in an e-mail to a hospital lawyer. MGH also accused Burke of improperly sharing information with the Globe about a confidential doctors’ meeting, called a “morbidity and mortality conference,” where physicians can talk with the assurance of absolute confidentiality about patient complications. This was the conference related to a Dr. Warner Jon J.P. Warner, M.D.Chief of MGH’s shoulder service case in 2008 involving a patient who suffered a vascular injury. On Aug. 10, Burke’s lawyer got a call from an attorney for the hospital bearing hard news: Mass. General planned to summarily terminate his privileges for violations of hospital policies, giving him until November to wrap up his affairs with patients. Then, on Aug. 12, MGH’s president, Peter Slavin, made it official. Burke was stunned, but pronounced himself unbowed. “I do not have one regret over coming forward. It had to be done,” Burke told the Globe. “My only hope is that out of all of this, some good happens.” He is appealing his ouster, a process that could ultimately put the matter before MGH’s board of trustees. Burke’s looming departure does not, however, mean an end to the controversy. In June, he sat down with members of US Attorney Carmen Ortiz’s health care fraud unit — at their request — and outlined his concerns about double-booking, according to several individuals briefed on the meeting. State Attorney General Maura Healey’s office is also looking into the matter, and prosecutors have contacted Burke’s former colleagues. Both agencies declined to comment. Federal lawyers, meanwhile, have subpoenaed all of Burke’s records on concurrent surgeries. Get more exclusive investigative journalism. Subscribe now for unlimited access to BostonGlobe.com. Produced by Russell Goldenberg, Gabriel Florit, Elaina Natario, Scott LaPierre, Emily Z. Fortier, David Butler.